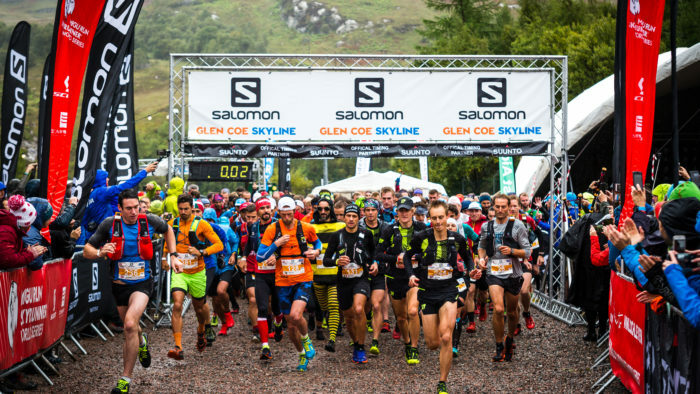 This year’s Salomon Skyline Scotland event promised much, and delivered even more! 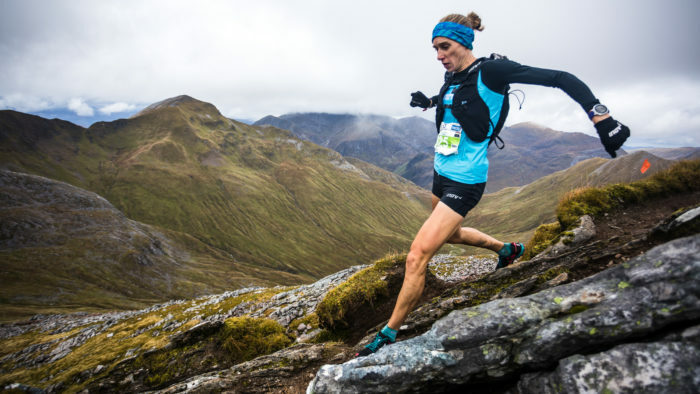 The stellar line-up of runners included Kilian Jornet, Luis Alberto Hernando, Vic Wilkinson, Jonathan Albon, Tom Owens, Holly Page, Sage Canaday and Mira Rai, so we knew that it was going to be an exciting series of races. But, like so many races this year, it was definitely weather affected. The men’s podium was completed by Thorbjørn Ludvigsen, of Norway, who finished in second, and Stian Angermund-Vik, also Norwegian, in third. In the women’s race runner-up was Lina El Kott Helander, of Sweden, and American Hillary Gerardi was in third. Jon’s winning margin was an incredible 12 minutes. André Jonsson, of Sweden, was second and Luis Alberto Hernando of Spain, third. The battle for second and third was a lot closer with a sprint finish deciding it. Gema Arenas Alcazar, of Spain, beat Maria Mercedes Pila Viracocha, of Ecuador, by just four seconds. This was billed as the big race of the weekend. 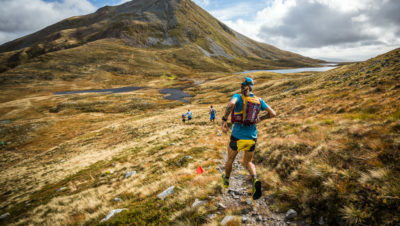 It was the final race in the Skyrunning World Championships and decided the winners and it was also part of the Salomon Golden Trails series. This course wasn’t changed because of the weather, so it was the classic 29k route with 2500m of ascent. 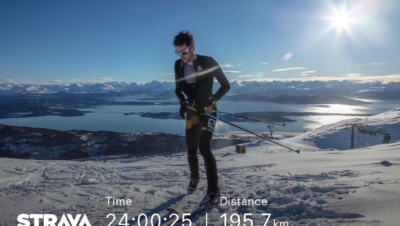 Kilian Jornet smashed his own course record by 20 minutes to win the men’s race and Tove Alexandersson of Sweden won the women’s race, again in a new record by almost 19 minutes. In silver position overall and only 91 seconds behind Kilian, was Italian runner Nadir Maguet. He was followed by Stian Angermund-Vik, of Norway. The women’s race saw Brits taking silver and bronze as Victoria Wilkinson and Holly Page capped off fantastic seasons. 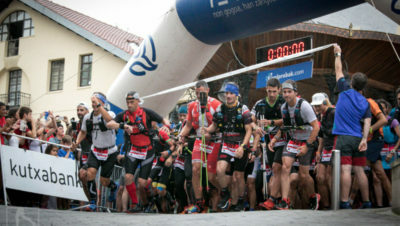 This race also had to follow the bad weather route (because of winds of up to 60mph) which was 32k and 2700m of ascent (instead of 52k and 4750m). 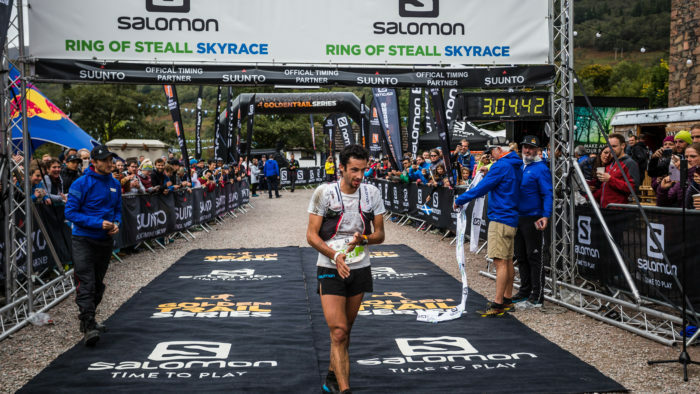 Kilian went again and, unsurprisingly, won again! André Jonsson, of Sweden, came second and Daniel Jung of Italy was third. The women’s race had a thrilling sprint finish again, with Hillary Gerardi of the US coming out on top, just ahead of Brit Jasmin Paris. Brittany Peterson of the US was in third. All in all it was a hugely exciting weekend of racing, in typically testing ‘Scottish’ conditions. 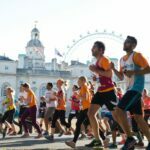 For full information and results go to the event website.